Support your pet’s kidneys with Azodyl, 90 Capsules: a kidney supplement for dogs and cats. 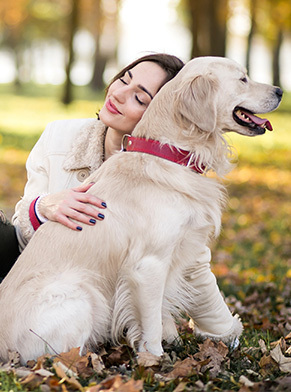 This pet kidney supplement is available without a prescription. While kidney disease cannot be cured, the lives of pets with it may be improved with this quality kidney supplement. Kidney disease in pets may cause symptoms including increased drinking and urinating, loss of appetite, and depression. You can order the best quality kidney supplement from our pet drugs online pharmacy. Our pet pharmacy is based in Texas. We care for your pets and offer the best quality pet medications and supplements! Kidney supplement for cats and dogs. May help slow the progression of chronic kidney disease in pets. Helps to slow down uremic toxin buildup. Is available without a prescription. Ingredients: Kibow Biotics® [E. thermophilus (KB 19), L. acidophilus (KB 27), B. longum (KB 31), Psyllium husk]. With a combination of three different strains of probiotics, this kidney supplement for dogs and cats may reduce azotemia, which is an increased concentration of toxins that make it harder for your pet’s impaired kidneys to filter and eliminate waste. All of the bacteria in this product are naturally-occurring, and because they are live strain. It even slows down uremic toxin buildup through natural enteric dialysis, which in turn helps prevent further kidney damage and kidney failure in dogs and cats. This is a nutritional kidney supplement for supporting renal function in cats and dogs. Allow free access to fresh water during administration. Note: For use by or on the order of a licensed veterinarian. Capsules should be given whole and not opened or crushed. If necessary, administer this kidney supplement capsule with a piece of the animal’s favorite food or treat. 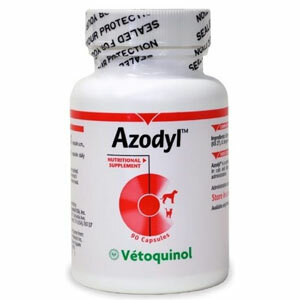 Vétoquinol Azodyl must be kept in a refrigerator.